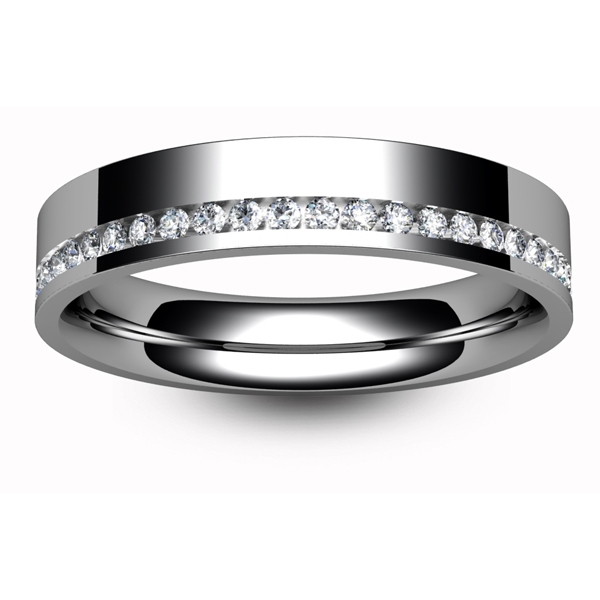 Eternity Ring with Brilliant cut, colour H clarity SI1 diamonds. You can upgrade this ring using the options provided. The ring pictured is the 4mm wide, 1.7mm deep 0.36 carat version.